Water supply in gallons is an answer for the market Leeds. 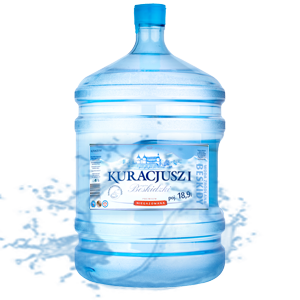 The new offer of the company Kuracjusz Beskidzki is mainly directed to institutions. Still water Kuracjusz Beskidzki in gallons is spring water with constant compositiuon of minerals which is drawn from the underground water intake of the spring Kuracjusz on the slope of the mountain Jasień in Sucha Beskidzka, which guaranties its quality and purity.